By Shay Williams Freeskier Magazine – After the slope guys took to down the course this morning, the pipe gents took to the ol' stunt ditch. 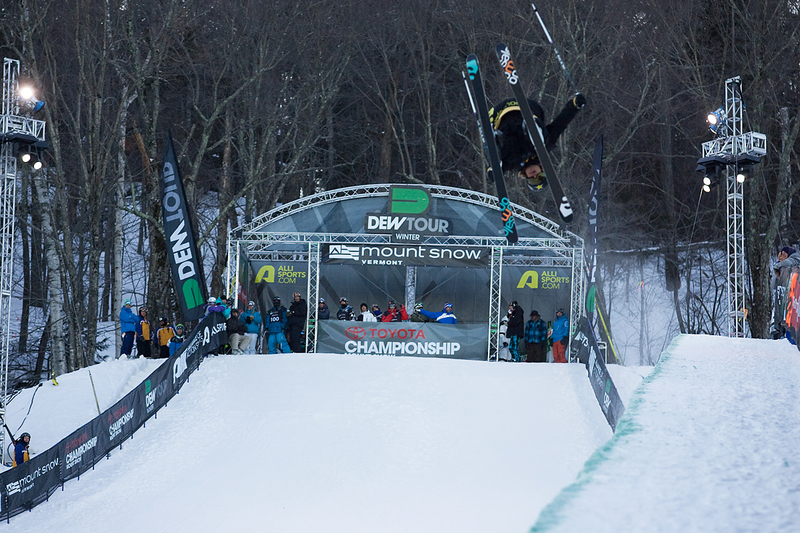 With a sizable amount of practice, the pipe men got in some decent training before this evening's Halfpipe Elimination for the Winter Dew Tour. And as most all of the athletes have come from Aspen, CO for the X Games, they were in for quite the shock here at Mt. Snow. 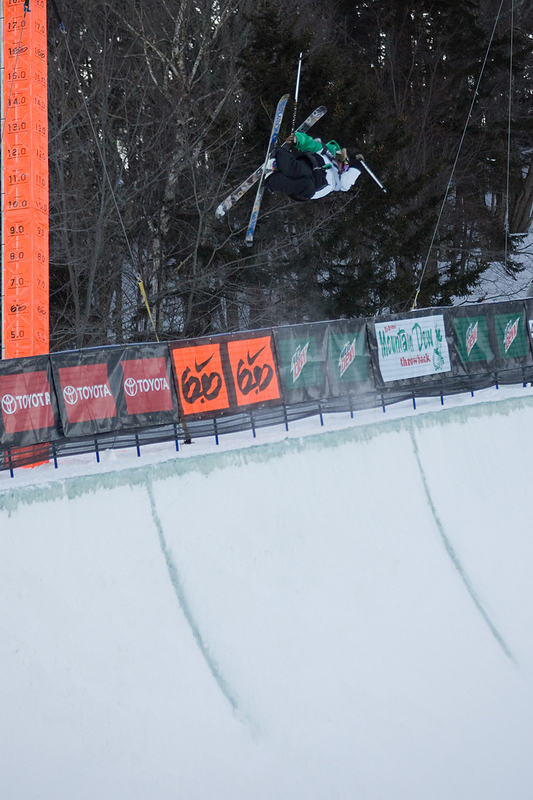 The 18-foot pipe was overheard being described as "cute" or "mini" and it looked as if almost all the riders were having trouble dialing runs in it. 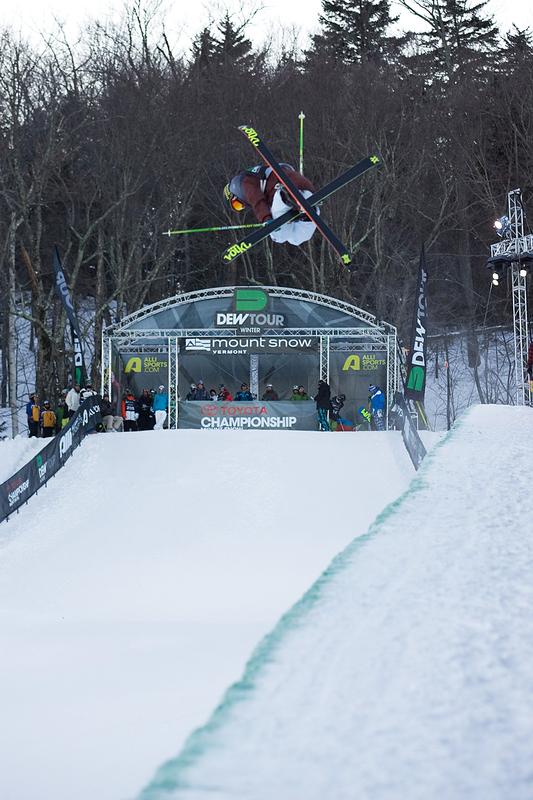 But nonetheless, the Canadians dominated the qualifiers, taking spots one, two and three, by Justin Dorey, Matt Margetts and Mike Riddle, respectively. 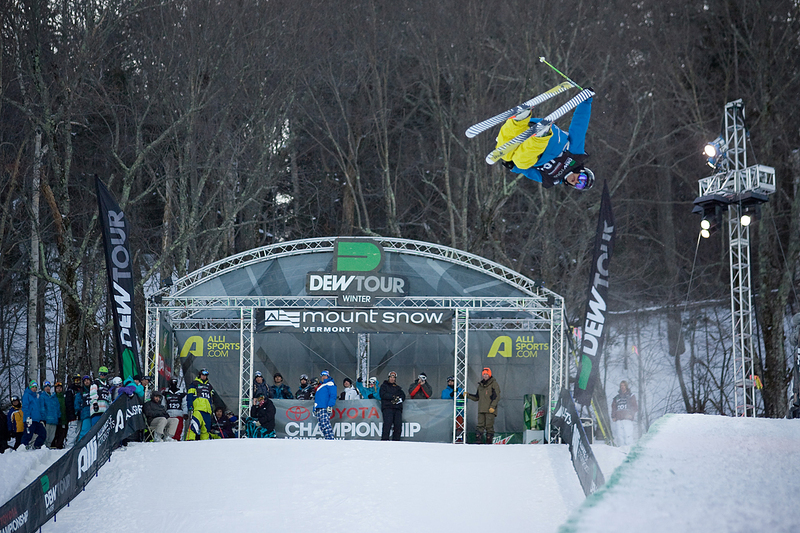 Justin Dorey, the man with the biggest bag of tricks, went right 900, flare, alley oop flat 360, switch 720, alley oop flatspin 540 and left 900 to wow the crowd and judges. 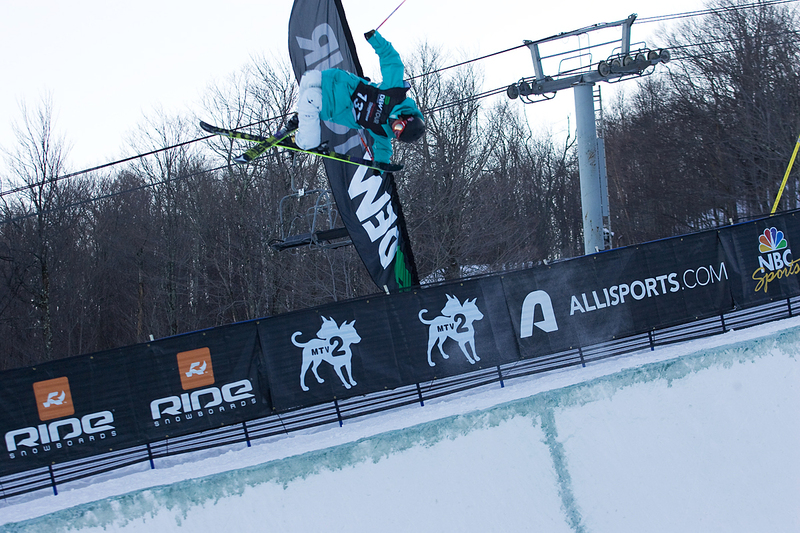 Coming up big in qualies was Matt Margetts who led things off with a flare, alley oop flatspin 540, 900, right 720, switch 720 and alley oop flatspin 360. Big things are on the horizon for Marg. Mike Riddle, the Breckenridge stop winner, fell first run, but put down a big flare, right 900, left 900, alley oop flatpsin 360 to switch 900 to take 3rd. 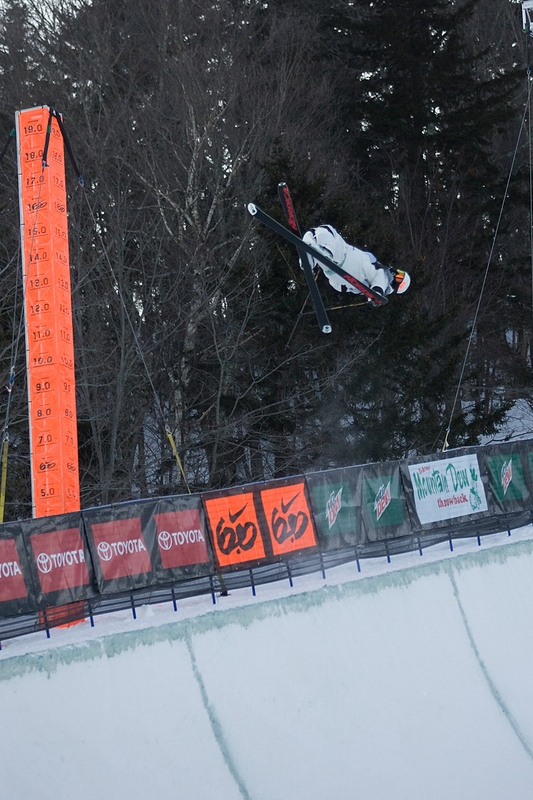 In 4th place, was Lobster Face, PhD [Byron Wells] whose 900, alley oop flatpsin 540, 900, right 360, switch 720, and alley oop flatpsin 360 on the 2nd run of the day to take 4th. It's to be noted that the top 4 all went pretty large the entire way down the pipe, something of a rarity in this pipe. Veteran Tyler Petersen comes out in 5th, with big spins both ways and decent amplitude. Walter Wood, making his first final, took 6th with an absurd amount of spinning. Banks Gilberti who apparently threw a run together last minute, qualified 7th. HIs quick thinking consisted of 900s, right 900s and stylish 540s both ways, pretty good if you ask me. 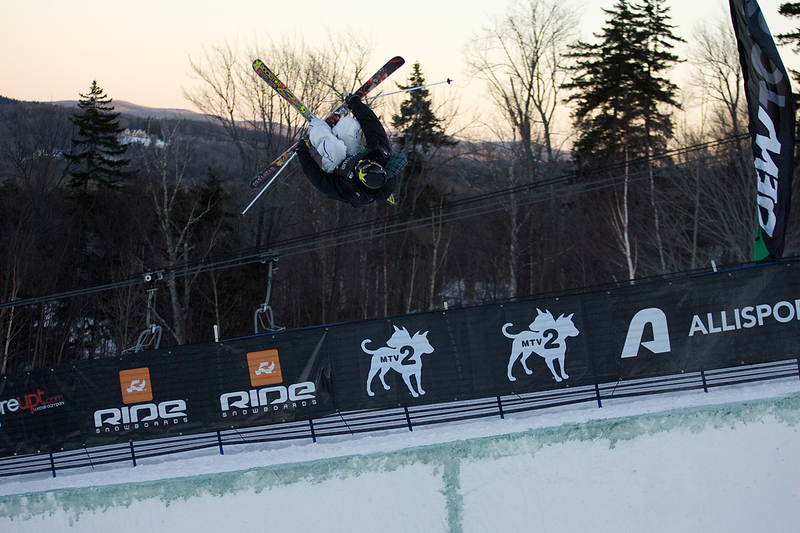 Tucker Perkins, who has been on a tear lately, comes in 8th. His big first hit 900 (highest air of the day, roughly 10 feet) was quite the crowd pleaser. While the run was clean and technical, Perkins lacked a bit in the grabbing department. The bubble spot goes to AJ Kemppainen, whose stylish run held him in 9th, will definitely be stepped up for Saturday's Finals. Barely being bumped out in 9th and 10th were Peter Olenick and Kevin Rolland. Pete's run had a bit of sketch out on his last hit landing, but the judges knocked him down and Kevin Rolland's clean, yet dialed back run, didn't charm the judges like his X Games runs did. 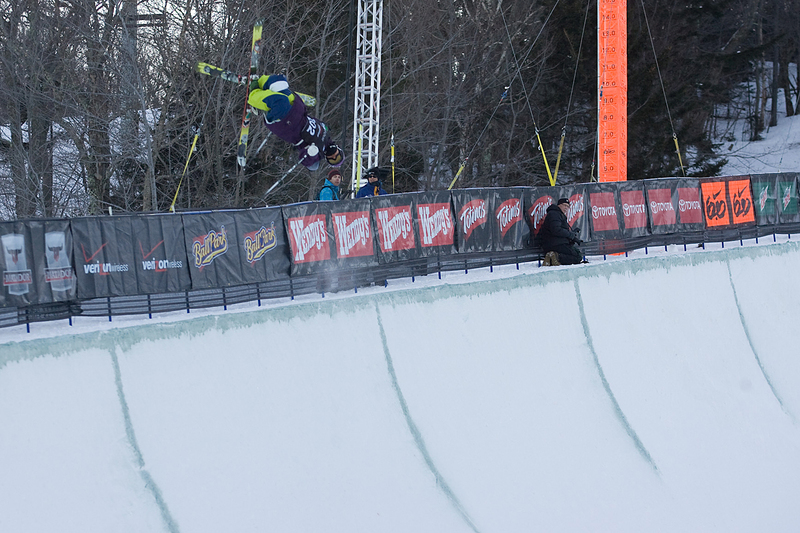 Another X Games veteran, Colby West and X Games newcomer Duncan Adams both failed to qualify despite skiing well. It should be noted that 0 double flips were attempted during practice and elimination tonight. These top nine guys from today will join the super qualified Jossi Wells, Simon Dumont and Xavier Bertoni in Saturday's deathmatch. 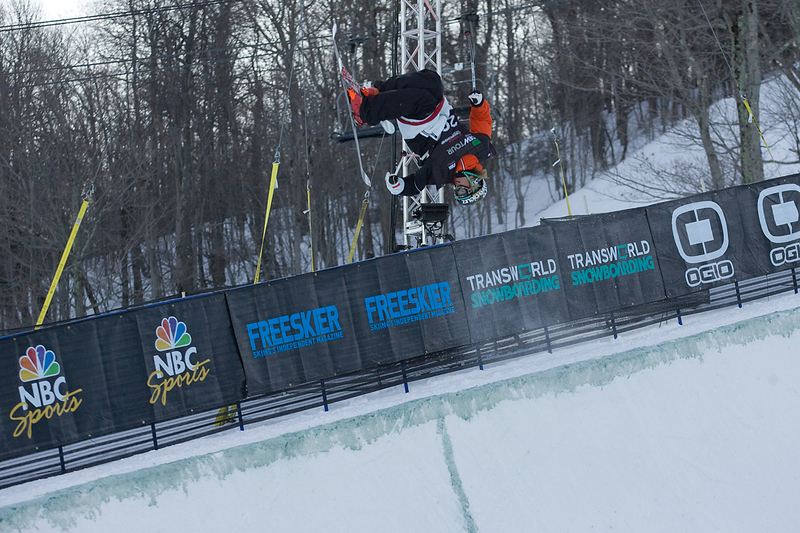 Stay tuned to Freeskier.com in the meantime for the Slopestyle finals tomorrow morning, straight from Mt. Snow, Vermont.